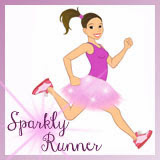 Sparkly Runner: Training Tip Tuesday- Experiment! 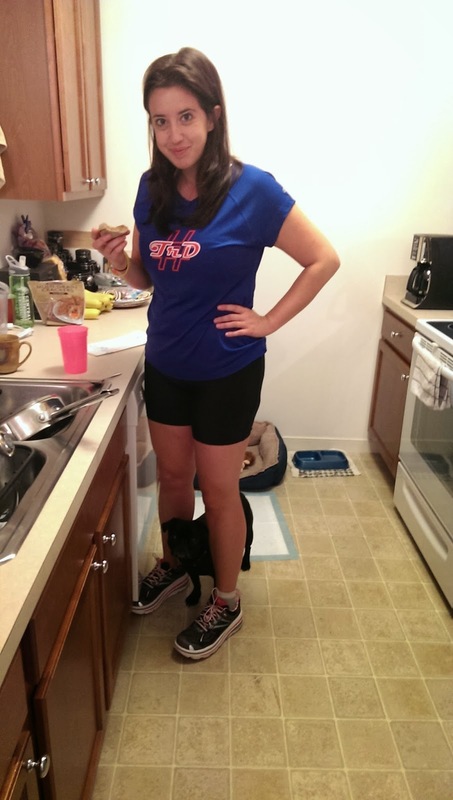 Most anyone who runs will tell you, "don't try anything new on race day!" Solid advice. I am a firm believer in using your training runs to try out all different kinds of products, fuel, intervals, paces, etc. These runs are your "practice races." How else will you learn what works for you if you don't try out all types of different things on your training runs? Knowing what works will help tremendously to put your mind at ease at the starting line- you'll know that everything you're wearing won't chafe, you know what you'll need to keep your energy up during the race, and you'll know what to do if something doesn't go according to plan (your phone dies, you have to alter your pace, it's raining, etc.). I've learned so much in the past 14 weeks while training and I hope I'll learn even more in the coming weeks so that my race day(s) will be smooth and worry-free. A few weeks ago, I deviated from my 2:1 interval (2 minutes of running, and 1 minute of walking) and tried the 1:1 interval. 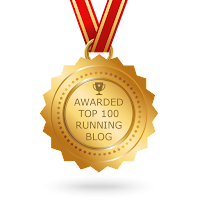 Not only did this earn me a PR in a local 5k (check it out here), but it has helped me mentally as I've been steadily increasing the long run distance. Telling yourself you just have to run for 1 minute is glorious and guarantees that I'll run that minute pretty fast because I can't wait to get to the walk break! 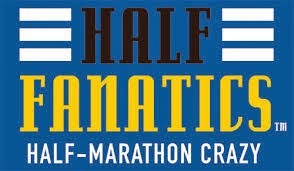 I will continue to explore other intervals to find out what will work for me on race day. At the Disneyland Half, I ran into some of my favorite bloggers, Pam and Christine of We Run Disney. 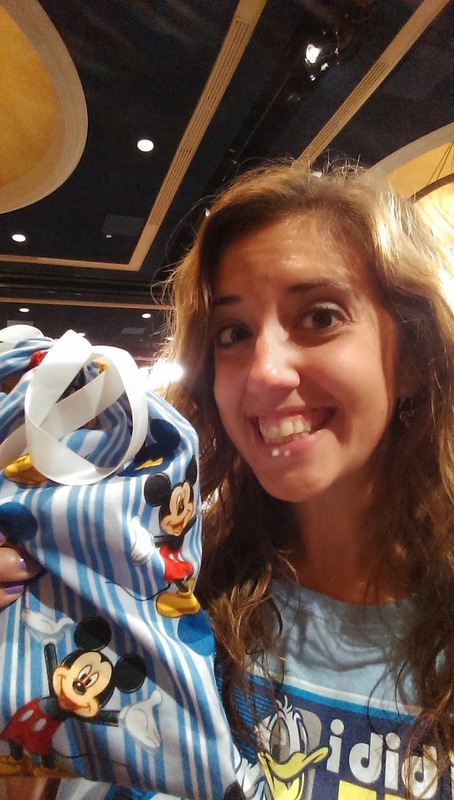 They had a contest going on and because I stalk their blog and facebook feed, I knew enough answers to win this awesome prize bag filled with cool runner stuff (including Disney princess tattoos!). In the bag was a water enhancer, watermelon-flavored nuun. I've seen a lot of runners use this but hadn't tried it out yet- they are little tablets that you put in water, similar to alka seltzer. Last week, I filled my new handheld water bottle with water, dropped in a nuun tablet, and took it out for a 5.5 mile walk. While I like the product- it was a little fizzy and kept me hydrated, I did not like the watermelon flavor. I'll definitely be trying out another kind of nuun. 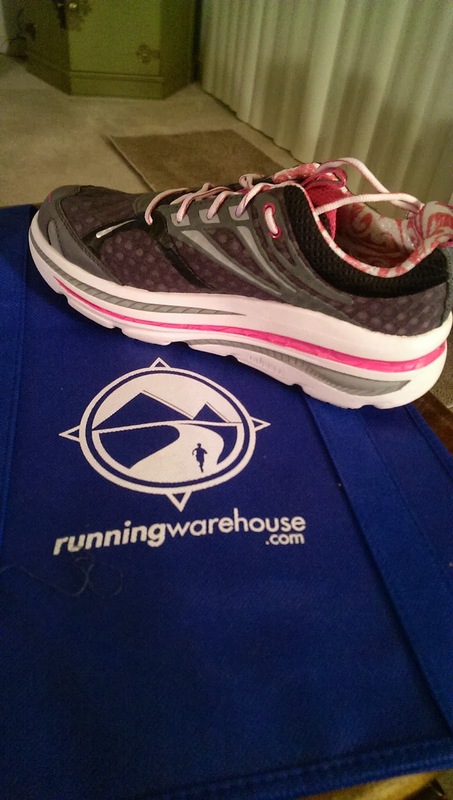 A few weeks ago, I bought my first pair of Hoka One One's (pronounced ho-ka oh-nay oh-nay). What are hokas, you ask? Just the BEST, MOST AWESOME, AMAZING, WONDERFUL shoe I've ever worn, that's all. These were designed by ultra-marathoners, people who run 50-100 miles at a time, for fun. They are the exact opposite of the "minimalist" trend of shoes. They have a great deal of cushioning and are designed to maximize comfort while you are on your feet for hours and hours. Hoka One One Bondi B's. As you can see from the above picture, they are larger than your average running shoe. But, they are not any heavier. In fact, these shoes are incredibly light and easy to run/walk in. They feel like pillows on your feet. I don't feel so much pressure on my feet/knees/ankles when I run and the best part- my recovery is amazing! I can run 15 miles in these shoes, and feel virtually NO PAIN the next day! Hoka One One will be at the Baltimore Running Festival expo this weekend- I'd highly suggest you check them out if you're there. Pre-run fuel with my new shoes- they don't look too big when you're wearing them! I also recently bought a pair of Under Armour Compression Shorts (so awesome!) 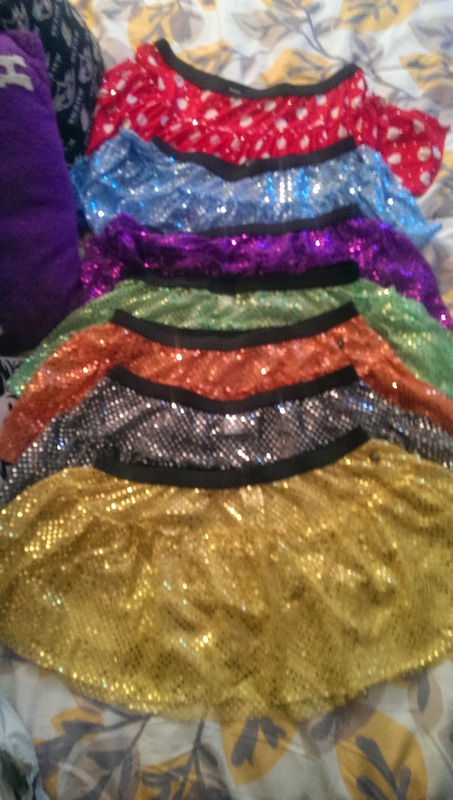 and a ton of Team Sparkle Skirts. Yes, I run around the neighborhood in these skirts. And yes, it is pretty damn cool. I also have started carrying a handheld water bottle that holds 22 ounces of water for my long (10+ miles) runs. I have a hydration belt but the last time I took it out, I ended up taking it off and carrying it for the last few miles- not fun. 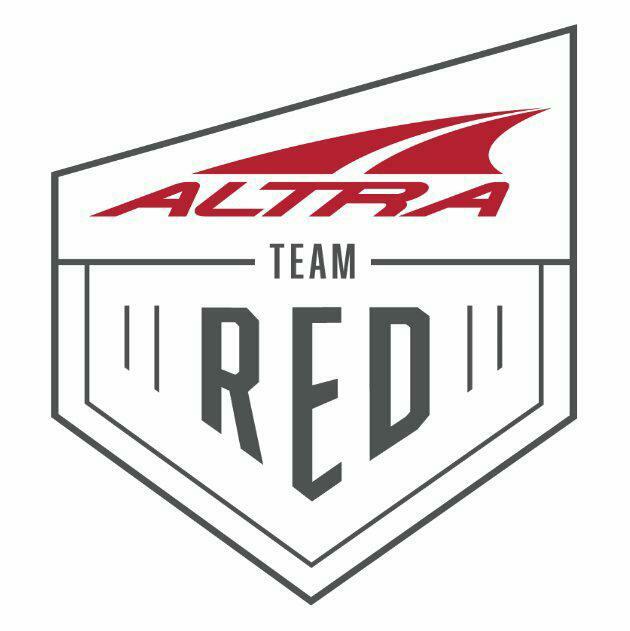 I'll keep you updated on my future experiments during training- I hope you will keep trying and experimenting to find the best race-day plan for you! Hey Sarah! do you use your phone for music with the water bottle? I've always stayed away from carrying a bottle (actually use Nathan's camelback on those long 10+mi runs). I'm worried about the cord annoying me. Hi Robin! I actually don't use my phone for music- I have an ipod shuffle that I use and put the cord down my shirt- if that makes sense! I've never tried the camelbacks before- is it cumbersome? Are you thinking of trying out a water bottle? Was thinking of trying the water bottle but then I feel lopsided (ha). In Arizona the camelbacks are good for long training runs in the summer and with my lopsided issue easy enough. How is it possible with hours in line waiting for the DL expo we never got around to talking race tips? good thing you have a blog for me to read! 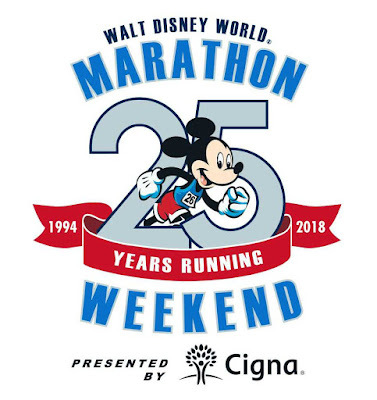 Good luck at WDW.